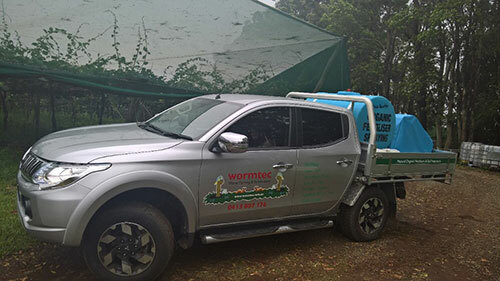 Wormtec Worm Farming and Vermiculture has been actively fertilising and repairing lawns, turf and garden areas around the Gold Coast and Brisbane for the last 16 years, Wormtec Worm Farming and Vermiculture has a very loyal customer base with Home Owners, Housing Estates, Commercial Clients and Rural Farms. We also ship Worm Extract Fertiliser to a large customer base Australia Wide so these customers can also improve there soils for optimum plant growth and soil health. I also assist these customers to get the best results from our products. On the Queensland Gold Coast we know the problems home owners face, due to the fact that this area is reclaimed swamp land and pumped up sand, some areas have very drastic soil Ph levels, there is very little organic matter in the soil profile and some areas have next to no topsoil at all. How do you grow a healthy lawn then ? I have Provided lots of information on growing Lawns and Gardens organically on this Website have a good look about and if you require any assistance just give me a call or drop past for a chat and I would be more than happy to assist you. When I first visit a new job site the first thing I do is Check Soil PH levels and Soil Compaction readings as both these measurements will control growing a healthy lawn or turf grass, Organic matter in the soil profile is also essential. We then spray the Lawn or Garden area with Wormtec Worm Extract Organic Microbial Fertiliser to inoculate the soil with Micro-Biology and soluble nutrients, The Microbes contained in our product then start the job of breaking down the organic matter into soluble plant food, this is one of the reasons I like to see lawn clipping left on the lawn after mowing as it feeds the soil. As you can see everything I have talked about is the soil health, if you treat turf symptoms you will always treat turf symptoms this is where most people miss the point, why not treat the cause of the problem The Soil If you rebuild your soil health your turf grass symptoms will vanish and the end result will be a fantastic drought tolerant vibrant lawn that is resistant to both pest and disease attacks. One of the down sides of chemical fertiliser apart from trying to stop them from leaching out of our soil into ground water and polluting our ground water supply and effecting our fish and frogs. is the problem that this fertiliser is in the dust that we breath in when we are mowing the lawn or playing on our nice green lawn, it also effects our pets as they are closer to the ground and lick and sniff everything of interest. Wormtec Worm Farming and Vermiculture is here to help you with as much assistance as you require. giving you the correct information to make an informed decision on the direction you wish to go in. If you need us to be more involved or to do it for you or to arrange it for you we can also do this, we are here to help you.